A limeworks dating back some 240 years has scooped nearly £500,000 from the heritage lottery fund to transform it into a museum. 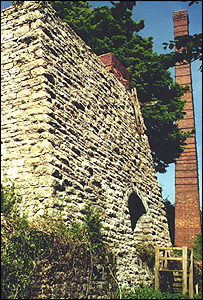 A 140ft kiln, one of only three of its type in the UK, will be restored as part of the project in Llanymynech, near Welshpool. The £452,000 grant will be used to attract visitors to the area too. Described as a site of national significance, the limeworks' origins date back to 1763. The scheme will run along side a project to restore the Montgomery Canal in the village, although the works itself is just 300 yards across the border in Shropshire. When it opens, the museum will chart the rise of the lime industry in the area, quarrying, production and transportation via, canal, tram and railway. Tony Beardsell, chairman of Llanymynech Heritage Focus Group, said: "We hope to market it as a big day out where people can visit the limeworks, take part in guided walks on the hillside where mining was carried out and go on a boat trip along the canal where lime was transported." The Heritage Lottery Fund's regional manager Anne Jenkins said industrial heritage was something "we can all take pride in". "I'm delighted that this award will enable the preservation of the limeworks which is a prime example of our industrial legacy," she added. "The work will ensure that our children and our children's children can learn about the importance of the industrial revolution on our heritage." 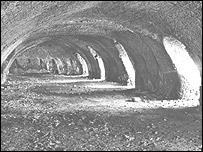 The limeworks' origins date back to 1763, but the kiln, known as a Hoffman kiln, was not built until 1898/9. The works closed in 1914.